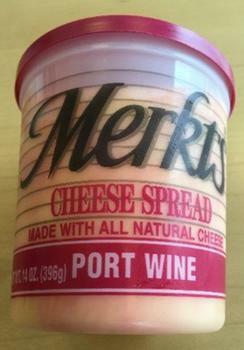 Bel Brands USA is recalling Merkts Port Wine Cheese Spread. The product contains small pieces of plastic. While a few consumers have reported finding small pieces of plastic in the product, no injury, illness or allergic reactions have been reported to date. Customers who purchased the recalled product should not consume it, but discard it. Consumers with questions may call contact 1-888-840-0096 from 9:00 AM – 6:00 PM (ET), Monday through Friday.